"The tourists are not looking to learn anything new here, merely hope that key men get accustomed to conditions before the competitive action begins"
The Irish were outclassed by India in game one. It was a double failure for their hosts as their bowlers were pinged all around the park and their batsmen were pinged back to the pavilion. You can't criticise, of course, because the gulf between the two teams is vast. But no doubt Ireland would have been disappointed that one of the two main disciplines didn't hold its own for a few overs. There were two notable individual performances, though. James Shannon, the opener, can hold his head high. His 35-ball 60 was hugely impressive as he put Paul Stirling in the shade. There was no support, however, as Ireland managed only 132. With the ball Peter Chase, the right-arm quick, had a memorable day taking four cheap wickets, including Virat Kohli for a duck. It doesn't get much better than that. 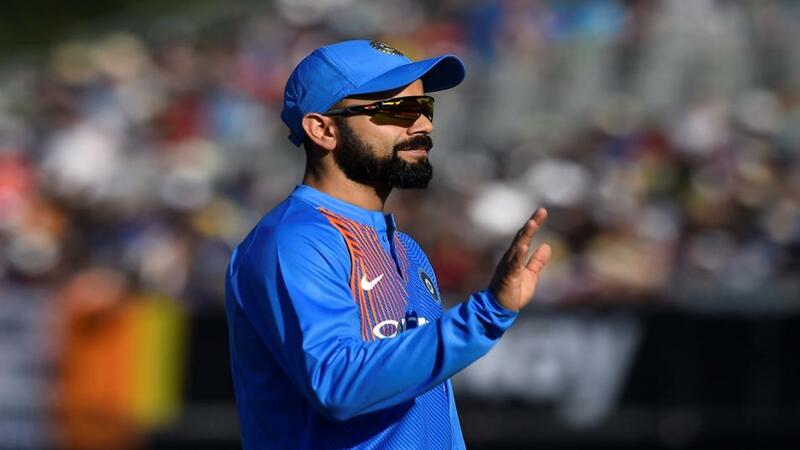 India may well look to chase if they get the chance in game two as they continue to tune up for their contest against England, which starts on Tuesday. The tourists are not looking to learn anything new here, merely hope that key men get accustomed to conditions before the competitive action begins. That could mean a few tweaks to the XI. Presumably it would be smart for Kohli to get some crease time so he could move up to open. KL Rahul might also get the chance to have a hit. The bowling line-up was first-choice. Bhuv Kumar and Jasprit Bumrah are a fearsome new-ball pair. Umesh Yadav waits in the wings. Likewise it wouldn't be very bright if he didn't get the opportunity to bowl some overs. The Indian batsmen made the Malahide wicket look pretty good when amassing 208. We expect them to bust 200 again if they get the chance. Indian broke two significant trends at the venue. It was only the second time at the venue that more than 150 batting first had been scored. And they downed a toss bias. Five chasers had won previously. The 10/3 that Betfair Sportsbook offer about India scoring between 182.5-212.5 is notable. But that price will be cut very quickly if they bat first. There are no smart options on the match odds market. Ireland go off at [10.5] which is a couple of points bigger than before the first match. India are [1.08]. It is pretty hard to make a case for a trade now. Ireland's best chance was catching India cold and that just didn't happen. Shannon is as big as 4/1 with Betfair Sportsbook for consecutive top-bat honours for Ireland. Perhaps they think it is too much of a stretch for a minor player to be so consistent. We continue to swerve Paul Stirling at favourite status after analysing his game. Gary Wilson has been pushed out to 5/1 and arguably that is a fair wager considering, by our numbers, he should be closer to Stirling at 7/2. Betfair Sportsbook obviously reckon Kohli is going to open the batting. Why else would he be 7/2 for game one top India bat and then chopped to 12/5? The latter is value in terms of the number of times he cops. Rahul is a mover too at 3/1. He is a major player. There seems little point in opening with Shikhar Dhawan and Rohit Sharma again after the two razed the Irish bowling. Kohli is 4/1 for the man of the match award and 7/2 for top match batsman. Cricket World Cup 2019 Qualifiers: Who will be in England next summer?